Everyone knows that a dog is a man’s best friend. That also proves itself with countless artwork and paintings from artists all over the world. Even the brilliant artists like Frida Kahlo and Pablo Picasso could not withstand the charm of these four-legged animals. 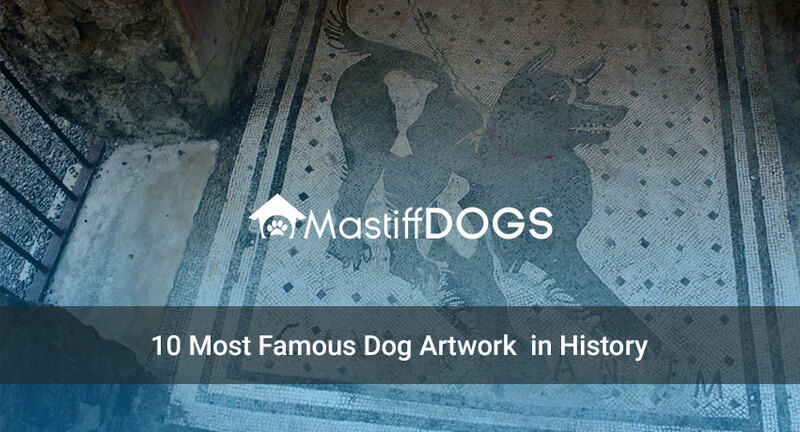 Here are the 10 most famous dog artwork in history. During the early 90s, contemporary artist, David Hockney made his name in art due to his hundreds of portraits with just two subjects: his beloved Dachshund pals, Boodgie and Stanley. Hockney found inspiration as the two pups played and have their naps. Also known as the “Dogs Playing Poker”, this iconic painting was just one of a 16- series of oil paintings. In 1903, the painting was commissioned by Brown & Bigelow with a mission to advertise cigars. The painting gained so many attention, it was even compared to the infamous Man with a Missing Ear by Van Gogh. This is our favourite piece of dog art. We are avid poker players ourselves and actually have a very nice set of clay poker chips with this artwork printed on it! I’ll give a little shout out to the crew at PokerChipLounge.com for making this awesome set of custom poker chips with the special piece of artwork printed on it. The beautiful mosaic was discovered in the ancient Roman town of Pompeii. 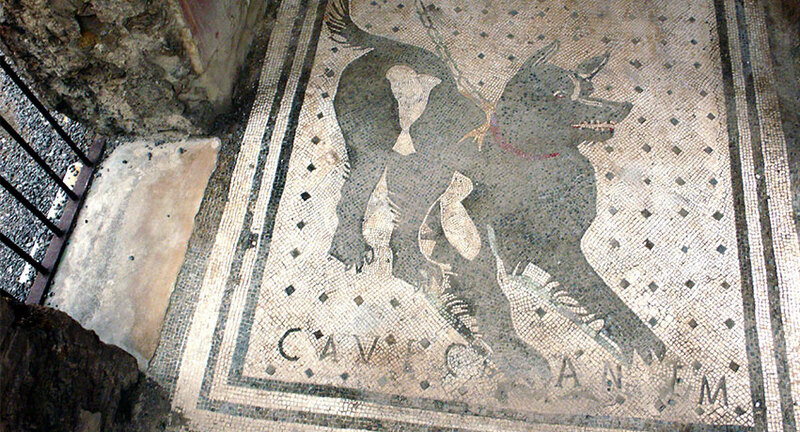 The words “ Cave Canem” which translates to “Beware of the dog were found at the bottom of the work. Archeologists believe that this mosaic was initially intended to bring attention as a signal of danger to intruders. American artist Normal Rockwell was known to include dogs in his iconic art that features scenes of family life. E often had his own dog named Pitter join him during his sessions at the studio. Inspired by Schulz’s childhood dog, Spike, Snoopy’s iconic white coat and black ears was a loved character that still produces comics and films today. The relationship between Picasso and his Dachshund Lump was considered as a precious love affair stated by his photographer pal, David Duncan. Lump was initially staying with Picasso during the late 50’s for over 5 years. While Picasso had many dogs, it was only Lump who he personally fed from his own hand. Famous for his well-established work like The Scream, Munch is known for his intense painting and artwork that depicts psychological states. When he was still a young boy, Munch’s mother and sister died – leading him to suffer from a mental breakdown. Years later, he isolated himself from society and lived alone keeping only his dogs. What is your famous canine artwork? Are they listed above or something we missed? Comment below and let us know!